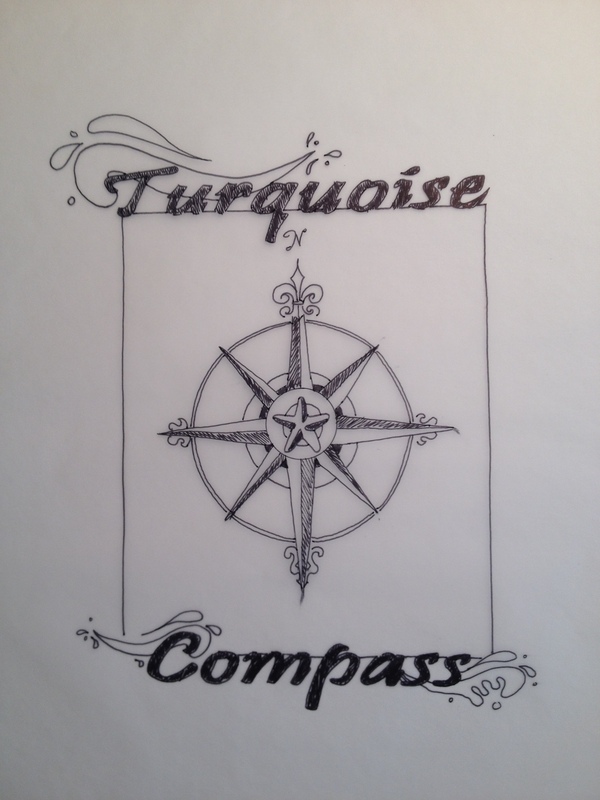 Turquoise Compass has its own logo! 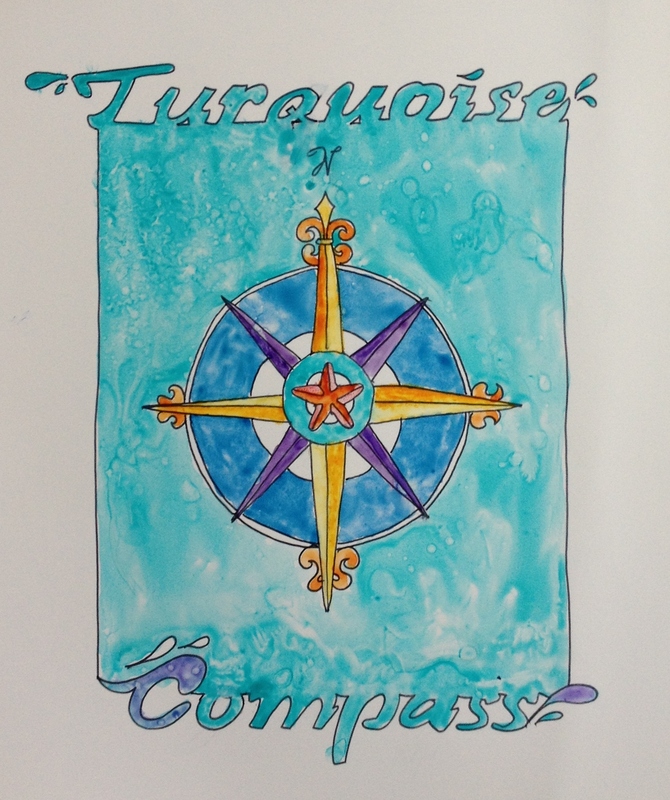 I figured it was high time to come up with a suitable logo for Turquoise Compass. After collaborating with some of the best artists and graphic designers I know, a logo was finally born. I wanted a logo to represent everything Turquoise Compass signifies and the one created couldn’t be a more perfect fit. 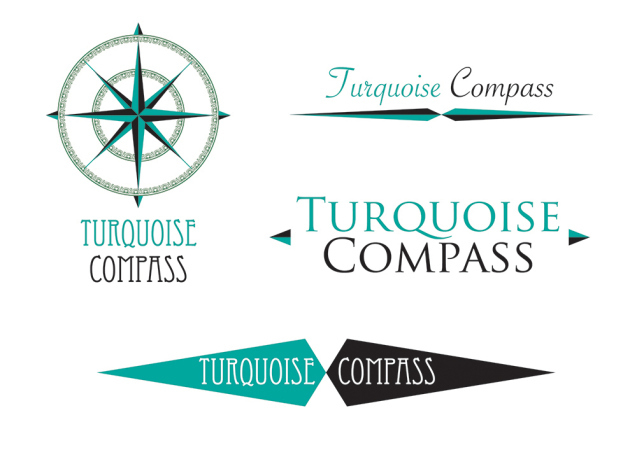 Let me first begin by telling you a little bit about the process of coming up with the logo for Turquoise Compass. 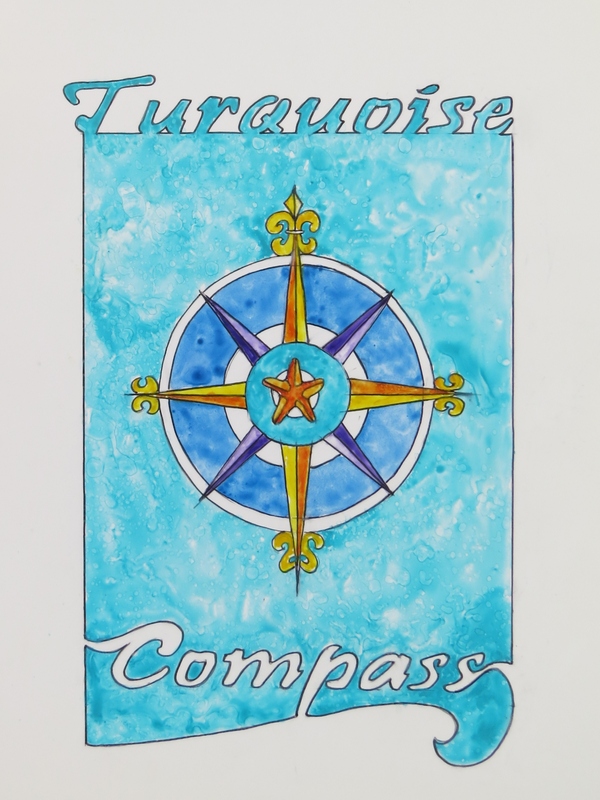 After researching logos for blogs and brainstorming my own ideas and vision for Turquoise Compass, I realized this would be harder than I thought and that there is no simple answer. I needed help from the professionals! I reached out to some of my fellow bloggers who were artists, graphic designers, and/or had experience with designing logos. SBHANSEN Art– Sarah B Hansen is a watercolour artist on a journey back to her passion-painting. I found her in the blogging community and in fact, it was her Didgeridoo Eggs post that captured my attention and amazed me. It’s not just the turquoise egg carton that I liked, but her ability to express herself as an artist through a blank canvas. Her Didgeridoo Eggs Time Lapse video shows the time and effort she puts into each and every one of her paintings. They are all so unique and one of a kind. Just as I was born to teach and travel (or travel and teach), Sarah was born to paint; born with a talent most admire (and sometimes envy). You can tell right away by looking at Sarah’s paintings that it’s more than a hobby, but a passion, lifestyle, and yearning. Painting is part of Sarah’s genes and she expresses herself so eloquently. She is a creator–taking the canvas by storm and creating things most of us can only imagine in our wildest dreams. After trying to conform to society’s mold, Sarah broke out of the chains that bound her and started doing what she was born to do. I knew from the moment I saw one of her paintings that she would be the perfect person to take the ideas I had in my head and make them something great. As she quotes on her blog: My hope is that we, amazing people that WE are, can ban together and feed the beast within. Let’s support each other and make it happen. Because it doesn’t always make money, but it always creates contentment. We did exactly that! After sending my ideas and vision to Sarah she quickly started putting the thoughts in my head to paper. We banned together and created something amazing! The second creative blogger who made my logo a reality is the graphic designer Jemma Poland from jemmyp.wordpress.com/. Jemma is an experienced graphic designer who has worked with corporate and commercial brands in the areas of print and digital media. This creative thinker goes above and beyond what’s expected and her attention to detail makes her stand out from other designers. Jemma helped me with my logo during one of the most significant moments of her life (she was 24 weeks pregnant when she was collaborating with me). Regardless of how many crazy ideas I had, Jemma was up for task of supporting me through my logo journey (even when she had a journey of her own). Jemma’s passion for design shines through her work as she experimented with potential designs. Her motto is love, life, and graphic design! Even through her baby-brain as she called it (I don’t think she had baby brain at all because she’s brilliant), she shone like a star and was an amazing support and help! I couldn’t have done it without her. She has skills I will never possess when it comes to computer graphics. Thank goodness there are people in the world who have these skills (I am not one of them) and are willing to share them! Notice that the lettering on the watermark is the same as the lettering on the logo! It’s all coming together! I can’t thank these ladies enough for all of the work that went into designing the logo. Unveiling my logo couldn’t have come at a more perfect time. Turquoise Compass is more than a travel blog (although that’s a big part of it), Turquoise Compass is a life style. It encompasses living life to the fullest while making your dreams come true. 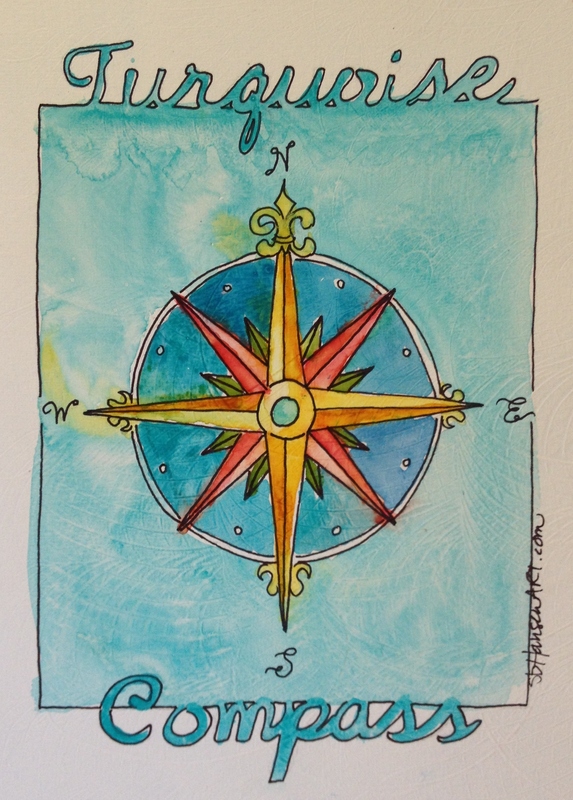 Follow your turquoise compass–wherever it takes you! Whether its bucket list accomplishments, traveling, beautiful turquoise destinations, or life, make it happen. Turquoise Compass in itself represents a journey, just as I have experienced throughout my around-the-world travels which has been documented on the blog. 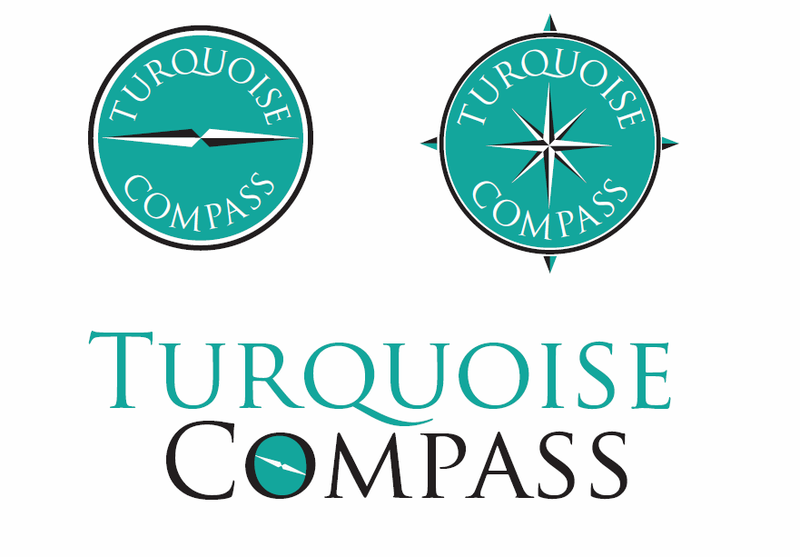 Welcome to the new look of Turquoise Compass. 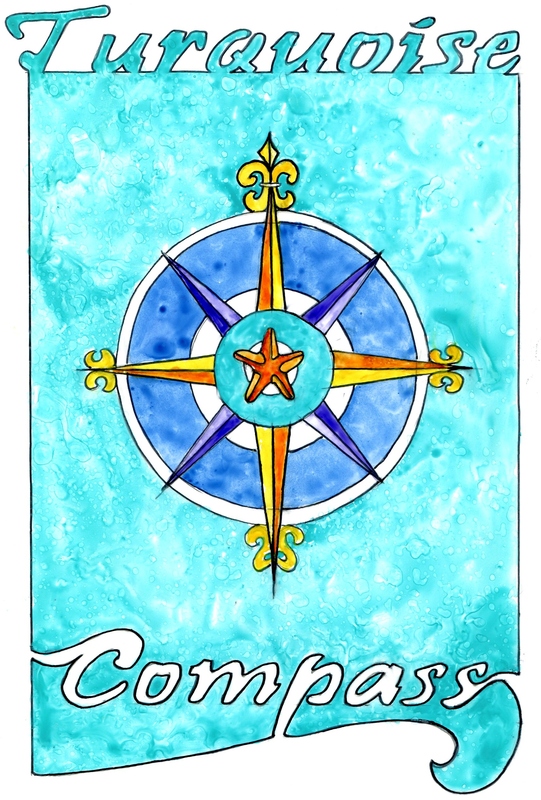 This entry was posted in Logo and tagged Art, Artistic, Artistic Expression, Blog, Graphic, Graphic Design, Graphics, Jemma Polland, jemmyp, Logo, S B HANSEN, SBHANSEN Art, Turquoise, Turquoise Compass, Turquoise Life by Turquoise Compass. Bookmark the permalink. wow – such amazing – important tool for us for almost every aspect in life and travelling – I am so happy you are sharing this powerful post! Thank you so much! I am pretty excited about it! Do you like the logo? I think it’s the perfect fit for me! Beautiful and totally you! I feel your excitement all the way to my room! Wonderful! Thank you so much. I’m glad my excitement leaped from my laptop, to the screen, all the way to your room! Happy happy day! Thanks so much Uncle Spike! What’s new with you lately? Any news in regards to you son’s application? I’ll work on a guest post display shortly! 🙂 Good point! A truly exciting post! Love this! Thank you so much. Can you sense my excitement? It was a fun process! Awww, you are too kind. I’m glad you liked the post. You are amazing and I am so happy to celebrate your work. Thanks so much for your kind hearted comments. Congrats! I think of a logo as one more stone to anchor your project. I loved hearing about the process and it’s interesting that you worked with an artist and then a designer. How did you come up with this approach?? I love the star in the second watermark! Thanks so much. Yes, I am taking the stepping stones along the way. The process was fun and extremely important. I thought it would be helpful to see the logo from an artist’s and a graphic designer’s perspective. There will be times when a graphic logo will be appropriate and times when the artistic expression can be used. I’m excited to use both of them. Are you thinking about coming up with a logo? That’s really interesting. I never thought about the difference between an artistic representation vs. a graphic designer’s. I’ve actually been wondering what exactly a graphic designer does recently. Now I’ve got a better idea. That’s a great question! I haven’t thought about a logo specifically but I have wondered about something to represent my blog. I think as I come up with a vision and purpose and blog for a bit longer, I’ll develop a better idea of where I’m going. How long did it take for you to have a concept for your blog or did you have a pretty solid idea from the beginning of where you saw it going? I would say it took me a solid 6 months to figure out my vision for the blog. I had a general idea, but I made a lot of changes in the first 6 months and then again after 9 months. Yes indeed it does. It takes so much time. I’m also thinking of redesigning my website page! Sounds like the same timeline I followed! I have the freedom to self-design. It’s just a matter of time before I use another interface. What about you? I was wondering what watermark I liked better, the one with the starfish, or the one without! Thanks for the tip.